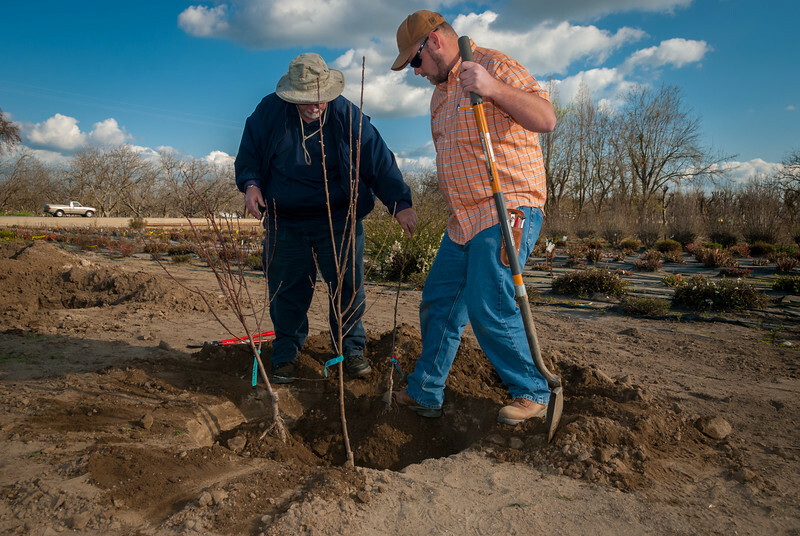 For many of us, space for fruit trees in our backyard gardens can be limited. For years the L.E. Cooke Co has advocated planting 3 or 4 trees in the space of one. Here are some examples of how to do that. Photos showing the 3 in space of 1 tree planting. Three Peach trees in this combination.